Record Name Shacklesborough. 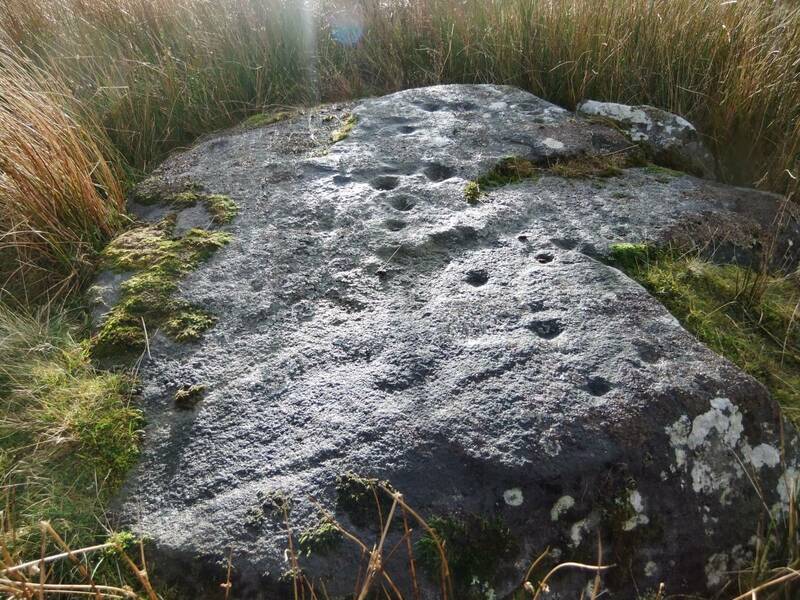 Prehistoric summit cairn. 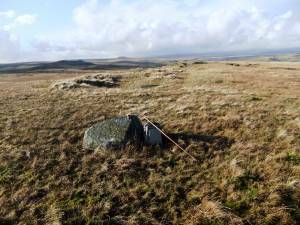 Record Description Both these isolated hills are of archaeological interest. 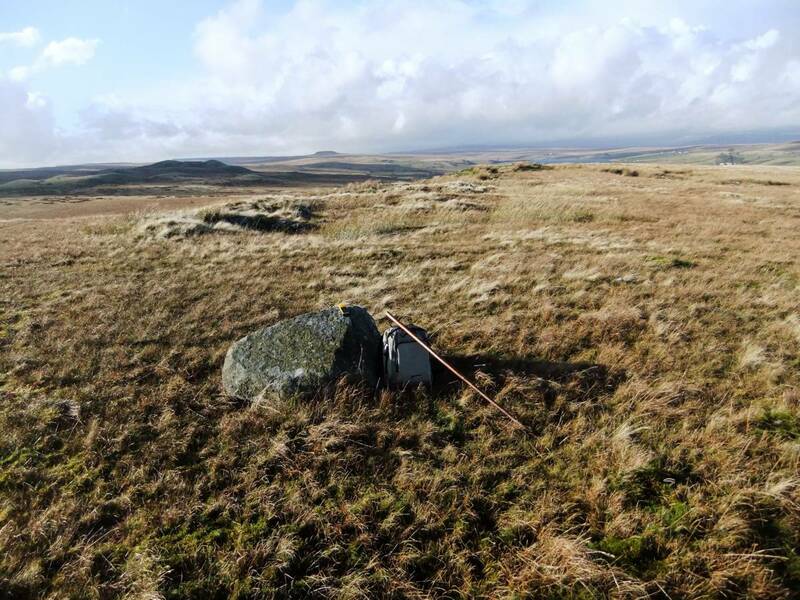 Goldsborough, the easterly of the two hills is the focus location of cup and ring marked rocks, see SWAAG Record No 645.Careful examination reveals that Shacklesborough, the more distant and westerly of these two prominent hills possesses the 8m diameter low summit cairn shown on the photographs below. Additional Notes Both these isolated hills are well worth a visit. 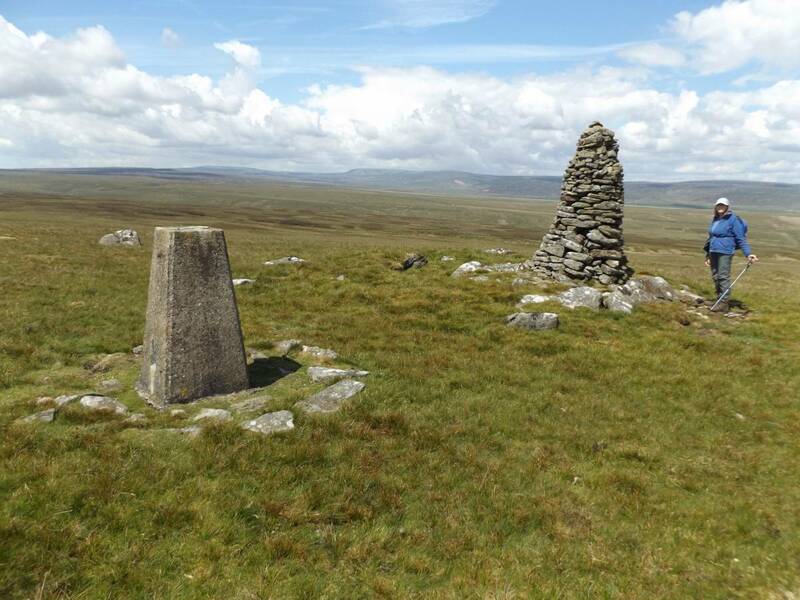 Both Goldsborough and Shacklesborough are located within the finest North Pennine moorland landscape with limitless views westward across pristine moorland. Blencathra and the Lake District Hills can be seen on a clear day from Shacklesborough. 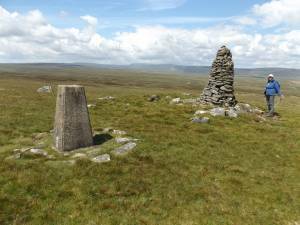 The views north westward to Mickle Fell and the Pennine Escarpment are very fine. Image 1 Description Distant view of Shacklesborough from Goldsborough. Image 2 Description Shacklesborough. 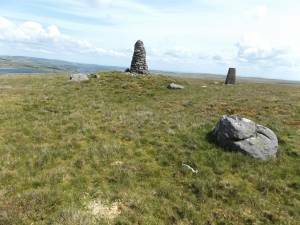 The prehistoric summit cairn underlies the recent stone cairn. Image 3 Description Shacklesborough. 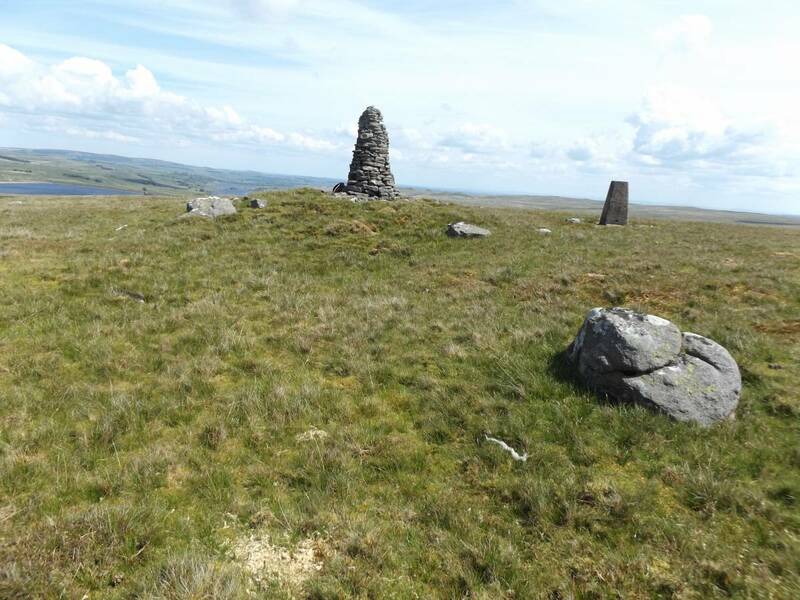 The prehistoric summit cairn underlies the recent stone cairn.